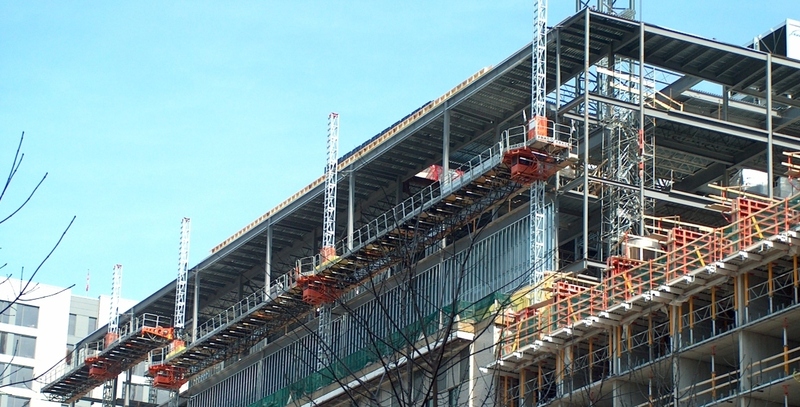 The FRSM-20K work platform combines safety, sturdiness and capacity for mid- to large-size job sites. 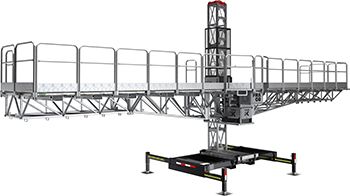 Used with one or two masts, this system of cantilevers and bridges allows users to benefit from over 130 different configurations. 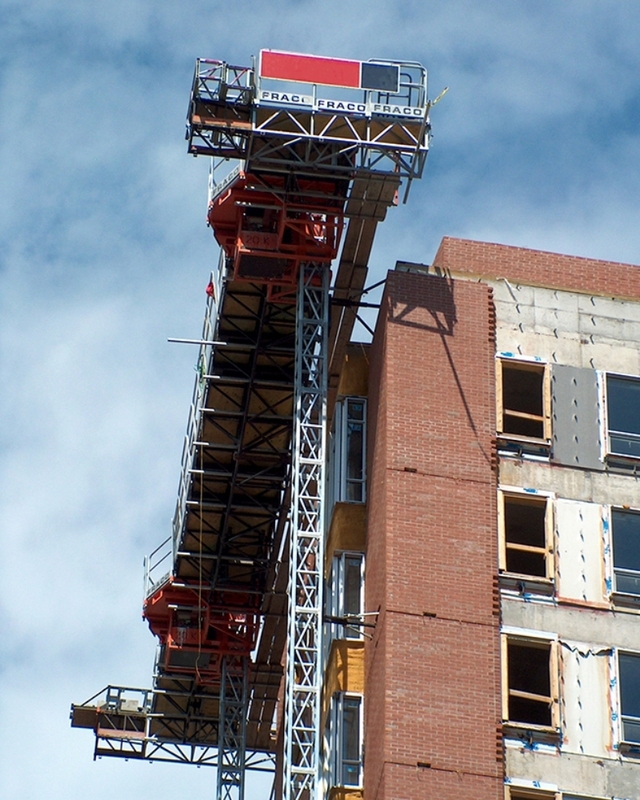 The FRSM-20K is perfect for masonry projects below 80 feet (25 meters) in height, but it also distinguishes itself when comfort, safety and performance in high altitude are required. a lifting speed up to 7 feet (2,2 meters) per minute. With the 127 feet x 45 feet (38,7 meters x 13,7 meters) freestanding set-up, only 2 hours are necessary to move 5 715 square foot (591 square meters) of workable area from point A to B. This can be done with few picks under regular jobsite conditions by using an 8 000 pounds (3 630 kilograms) payload forklift. This set-up is also ideal for masons as it offers a payload of 150 pounds (68 kilograms) per linear foot and an even distribution of material, which greatly improves efficiency and productivity. 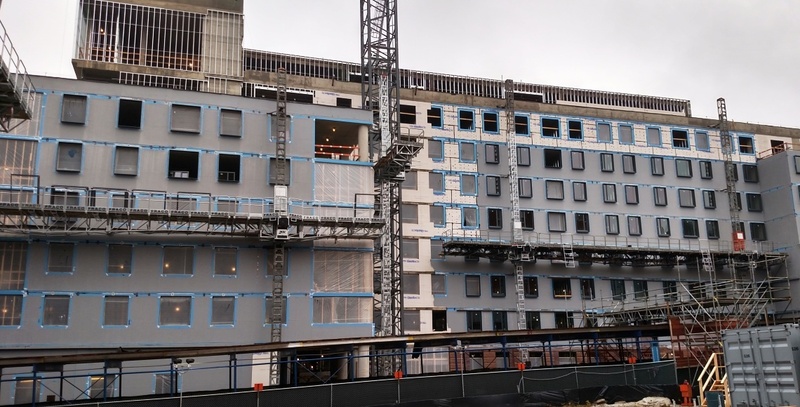 Fraco distinguished itself by providing several FRSM-20K units that were installed on the site of a major residential building project for university students. 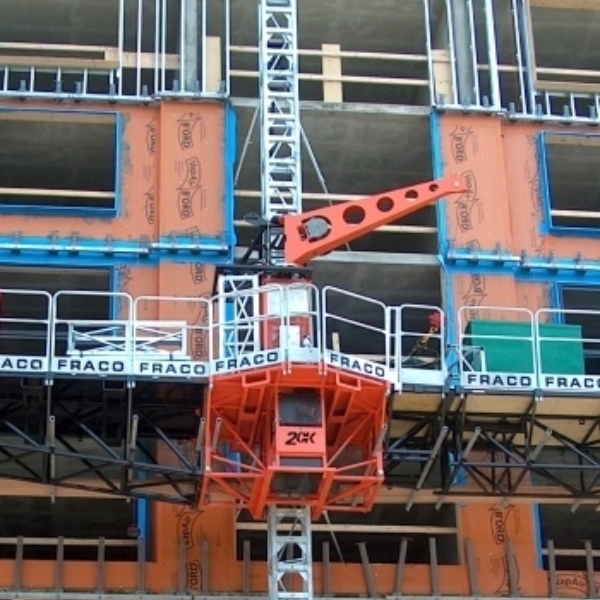 The conversion of the former Montreal Gazette building gave Fraco the opportunity to show how its equipment can be useful. 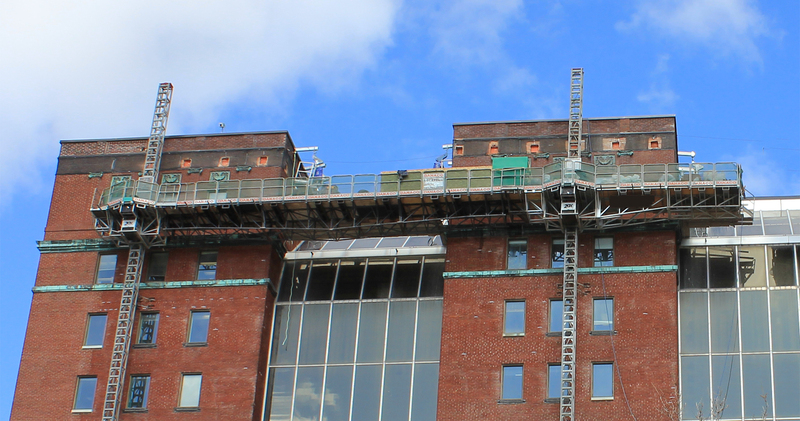 Several FRSM-20K platforms were used to add a five (5) storey section above the existing building and build a new building. 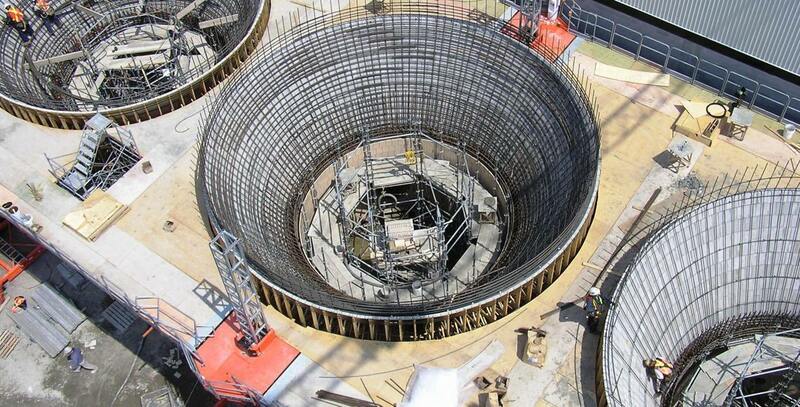 The company T.A.C., which installs resistant anti-corrosion coating systems, called on Fraco to set up a work area to allow the construction of three (3) storage tanks. Fraco proposed a solution bringing together six (6) FRSM-20K platforms.